This amazing Career Personality Test will help you discover your ideal job. Some surveys have as many as 58% of people in the wrong job. if you don’t enjoy what you do and look forward to Monday mornings then the chances are you are in the wrong job. 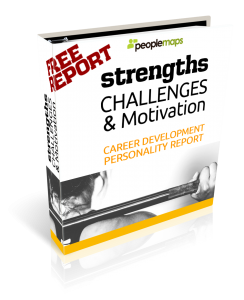 The report is called Strengths Challenges and Motivation and it is designed specifically to help you figure out what you should be doing for a living. If you would like some answers and want to know what it is you truly need from your career, beyond a paycheque, then you need this report. Why would you continue to work in a career that just wasn’t right for you? Is it just for the money? You could probably make the same money doing something you enjoy. There are thousands of people who actually enjoy their career and find it personally rewarding. These people do not work any harder than you. They are not any smarter than you. They are no better educated than you. So if some very ordinary people can enjoy their ideal job, why can’t you? PeopleMaps works with employers every day to help match candidates to job roles. Over the last seventeen years, we have got very good at this. The secret is we always look for the win: win. Every placement must be good for the candidate and the employer, or it will not work out in the long run. This new personality report from PeopleMaps is designed to help you figure out which direction to take your career. You see there are some jobs that will never be right for you and there are some that you will excel in. Too many people are peddling uphill. Your first task is to understand what will be best for you and why. You also need to know what you should avoid in your working environment if you are to ever stand a chance of enjoying your career. Why is it important to enjoy your work? Well apart from the obvious, the only way to you can make really good money in your career is to enjoy your work. it is only when you enjoy your work can you become exceptional at it. And it is only when you become exceptional at your work can you enjoy serious rewards. This personality report will show what work you will enjoy and why. it will also show you what kind of work you should avoid at all costs. This, of course, varies from person to person. the job that one person loves, another will hate and visa-versa. 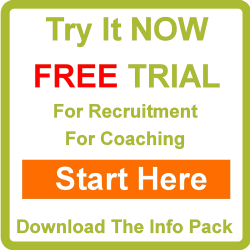 Click here to try this new Career Personality Test today. The full report is 37 pages long but you can try it first for free.